Details over Charvel/Jackson Model 2 Bass Made in Japan 1988 awesome ! 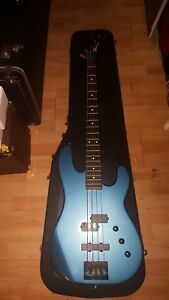 Charvel/Jackson Model 2 Bass Made in Japan 1988 awesome ! Het object wordt doorgaans binnen 4werkdagen na ontvangst van betaling verzonden - wordt in een nieuw venster of op een nieuw tabblad geopend. items accepted back witin 3 days after receiving them,only in case of malfunction,damage,buyer pays shippingcost back,and makes sure item is packed same way as was sent,we are not responsable if any of the above is not correct.